Moshulu was a ship of strength, one of the last four-masted steel barques ever built. Named for the four masted ship, Moshulu is now a new project combining four legends of music. Bassist Jeff Berlin (Bill Bruford, Allan Holdsworth, HBC), drummer Dennis Chambers (Funkadelics, John Scofield, Santana), keyboardist/guitarist David Sancious (Bruce Springsteen, Sting) and one amazing guitarist yet to be announced, join together bringing masters playing with intensity and skill. 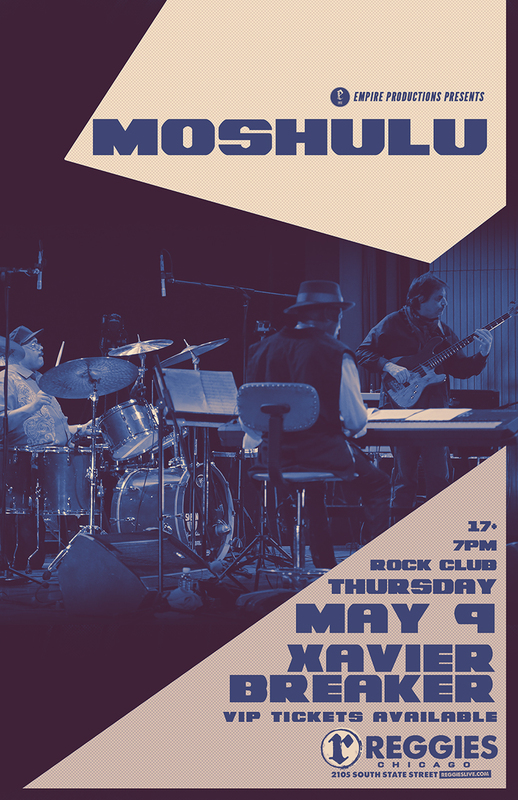 Moshulu’s repertoire goes from funk, rock, metal, fusion into new classical and improvisation. Their individual playing skills have blown people away for decades. Together, they are THE band to watch in coming years. They are a musical ship that will take the audience on a journey into powerful and beautiful music. Drummer, composer and arranger, Xavier Breaker has played with various artists throughout his career including Joe Sample, Randy Crawford, Howard Hewitt, Lalah Hathaway, Ernie Watts, Joey DeFrancesco, Bob Mintzer, Brad Leali, and Jonathan Scales. 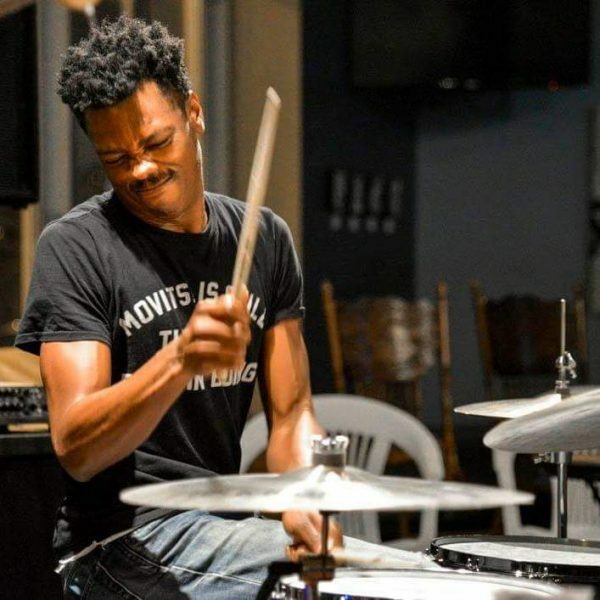 He has also played for some of Chicago’s finest including Corey Wilkes, Kahil El Zabar, Dee Alexander, Chicago Jazz Orchestra, Chicago Yestet, Sidewalk Chalk, and many others. The Xavier Breaker Coalition was formed in 2013 as an effort to design a group that can thrive in a variety of musical situations. The Coalition opened for many groups, including Brian Auger’s Oblivion Express and HBC (Scott Henderson, Jeff Berlin, Dennis Chambers). They have been featured in many festivals including the Chicago Jazz Festival and have been the first­call house band for the Keilworth “Saxophone Idol” competition since 2013. The Coalition released their debut album, “Dreamology,” in 2015. Xavier endorses Paiste Cymbals.